The Monday morning commute to and from New Jersey following the weekend visit to Pennsylvania by Pope Francis remains an enigma. No one knows for certain when the Ben Franklin Bridge will reopen that day, though noon is the target time. 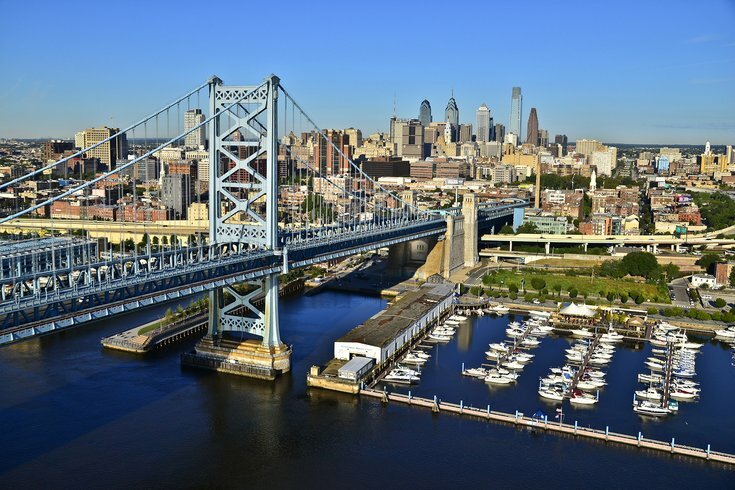 A 5 a.m. conference call that day will determine if the bridge and major highways open sooner rather than later, a state official told PhillyVoice. The unknown is causing anxiety for commuters Damon Bonetti, 41, and his wife, Charlotte Northeast, 36, Collingswood, N.J. residents. She commutes to Philadelphia five days a week. He’s an occasional commuter. “It might not be a problem at all. New things are being announced every day. But the unknown is worse than what’s happening so far,” Bonetti said Friday morning as he dropped his wife off at the Collingswood PATCO station. His wife is due at work in Philadelphia the Monday following the pope’s visit the weekend of Sept. 26-27. But the couple worries that the normally swift ride to Philadelphia could be a problem, with trains overwhelmed by car commuters seeking a sure alternative ride to or from Pennsylvania. That’s because while the PATCO line connecting the two states will be back in regular service early on Monday, Sept. 28 -- following a weekend of closed stations, altered schedules and special “pope passes,” -- the precise time for reopening the span to regular vehicle traffic remains uncertain. PATCO travels on rail lines that are attached to either side of the bridge. Authorities, who will close the bridge to all but pedestrians at 10 p.m. on Friday, Sept. 25, have so far only said that the span will reopen “by noon” on Monday. The Pennsylvania Department of Transportation has closed the access route to the bridge, I-676, as well as other major roads in the Philadelphia region. Like the DRPA, PennDOT has set a noon Monday deadline for reopening the highways it controls. However, they have also said the roads could open sooner. That leaves commuters on the Monday following the popefest guessing. “The biggest question I’m asked is ‘Monday: What’s gonna happen?’” a PATCO worker at the Ferry Avenue station said Friday morning. “I asked my supervisor and he couldn’t tell me. No one knows. They don’t even know,” said the worker, adding there has been no briefing of rank-and-file PATCO workers. Gary Cooper, a 59-year-old Philadelphia resident who uses PATCO several times a week to visit relatives in Camden, has already made plans for that Monday. He’s staying home in the absence of a firm reopening time. “No way I’m getting on PATCO that day. It’ll be crazy,” Cooper said as he stood at the Ferry Avenue station Friday morning. PATCO Watchers, an online community of train riders, posted Friday: "You know everyone is in a 'wait and see' mode, really nothing else anyone can do." "Will people be able to leave the City with 76 closed and no access to 95? SEPTA and PATCO are going to get tested again when everyone is ready to leave." Rutgers University-Camden, which is near the foot of the bridge on the New Jersey side, has pre-emptively decided not to reopen until 12:20 p.m. on that Monday after closing Thursday evening. Rutgers spokesman Michael Sepanic says they will await information from the 5 a.m. phone call on Monday before making any additional changes in their plans. Gene Blaum, a PennDOT spokesman, said his agency's goal "is to reopen the three highways (I-76, I-676 and U.S. 1) Monday morning." "Citizens in the Philadelphia region will need to pre-plan their trips and allow additional time for travel during that weekend, and, possibly, into Monday morning," said Blaum. Philadelphia public and parochial schools have already said they may also close that Monday but will not make a call until possibly just hours ahead of opening.